Have you heard of Coursera? If not, you are missing out big!! It may be one of the Best Online Education Programs available. EdX, Udemy and others also are available. Take a look what Coursera is all about! Oh, if you would like to follow on Feedly, you can do so with the green icon on the right ➡➡➡↗↗↗ (or 🔽🔽🔽 way bottom in smart phone). I would be so happy!! 3 Coursera Review, Best Online Education Program? 4 What are EdX and Udemy? One of the founders, Dr. Ng is quite famous on Machine Learning and Artificial Intelligence area. Since I was into Machine Learning and AI in the past (and now, too), I was closely following how Coursera would turn out. Since it’s mostly FREE (more info below for certificate signature track), there is no point of not checking it. You can access it here. Coursera Review is something I can do since I actually have taken many of their online education courses. It appears in my opinion that Coursera is targeting last least two major categories of people who are looking for free online education. Take a look at the list of partner universities. That list itself may convince you. You can take classes to further improve knowledge in certain area. You can try out various classes to see if they are something you want to major in college. Enhance your time management skills. Learn from professors in well known universities. Develop skills to be resourceful on your own. Obtain a head start compared with others. Sure, these classes can be hard. At least, classes are usually taught by well known college processors. They are college level classes. Yet, people all over the world enroll in the classes, and you get to meet all kinds of people. Some may be really smart, or others may be at your level or below your level. That doesn’t really matter. What matters is that the class provides everything you need to be successful. Class forums (online, of course) provide active discussions on class contents, quiz contents, exam contents, assignment and anything else you want to ask around. Some may find the forum to be the place to make friends with similar interests. Let me give you examples of why I believe the Coursera type online education program is something to watch out for. My kids are interested in Computer Science. Usually, CS majors start with some type of programming. While I was in college long time ago, getting started with computer programming was hard, just plain hard. The computer languages were not as student friendly (heard of C, C++?? ), and we didn’t have a lot of web sites we could look for examples like we do now. Kids these days are very fortunate. There are easier Computer Languages. Have you heard of Python? It’s obviously not a snake, but it’s a much easier programming language that kids can actually learn. Python has a lot of libraries that students can use to program games, research studies, and any others. My kids have gone through some Coursera Python classes. They liked the class (even though they might be hard), they learned a lot, and I think they will retain some knowledge for future. All for FREE. As a parent of 3 kids, I couldn’t expect more. Professors spend a lot of time preparing for the class, and as such, you do get a quality education you can’t complain for FREE. There are certain negatives that require students to be organized and good at time management because it is easy to get behind unless you track your progress on your own daily. BUT that’s how students grow! Another example… I took a graduate class at Columbia University. It was like $5,000! If my company didn’t reimburse me for the class, I probably wouldn’t have decided to take it. Anyhow, I found the same class on Coursera, taught by the same professor. Class materials were similar, assignments were also similar, and the professor also mentioned to review Coursera videos in the Columbia’s class since he spent a lot of time video taping class contents. The moral of the story is that these are the types of classes you get without spending a dime. You can in fact get Ivy League level education online!! The other category is obviously for adults who may be looking for an opportunity to grow or the company asks to get trained. Perhaps you may be looking for a career change. But if it costs too much for education, then things may be more prohibitive. Here’s Coursera’s certificate signature track comes in. At the end of the class, they provide an official certificate that you completed all the assigned materials at certain levels (I think some classes require you complete 80%+ or something). You can then add this to your resume, and you can prove you had some education. Classes may provide certifications from $29. After all, when you are a working adult, your experience counts more than just a college degree paper. I frequently recommend my company colleagues to check out Coursera courses because they ask for some training in computer programming, for instance, and they look for fairly expensive 3rd party training for 5 days. There are so many FREE options avaialble. Again, I don’t ask them to get certificates. I personally don’t care about my people carrying certificates. 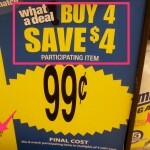 I would rather ask them to “show me” what they have learned with some real world examples which is always helpful. You know, learning programming could take some time. Sometimes, finishing in 5 days is just too much information overload. Especially for adults, that may not be as helpful to retain knowledge for longer term. Coursera Review, Best Online Education Program? Based on my Coursera review, it can be considered as one of the best Online Education Programs available. The more effort you put into it, you will gain more for sure. I will keep looking at certain classes when I get a chance. As part of my responsibility at work, my job requires me to be familiar with handling large amount of data. There are many ways to handle large amount of data, and some may utilizing Machine Learning, or other software packags. I was recently looking at the Data Science Specialization. This is a offering of 10 different related courses that goes from the basics to advanced data science topics. Furthermore, these are classes from JHU, that’s John’s Hopkins University. These certainly look interesting and may help further my knowledge in large data that is becoming a buzz word these days. I may consider taking it. You probably heard John’s Hopkins before somewhere. Classes must be good. 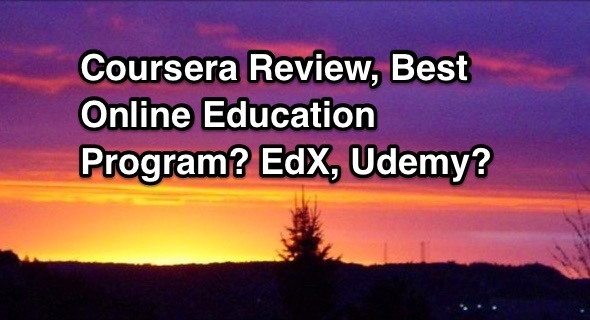 What are EdX and Udemy? Udemy also provides so many online courses you can take. This list gives an idea of what you can learn. If you want to start learning, you should start NOW. Money is not an issue any more. You have no excuses to mention! You may also enjoy these, too! Student Aid How-To! College Cost Calculator, Federal Financial Aid? World phone how-to! TMobile, Fi, FreedomPop GSM, Global Internet Access device? If you think this article is helpful, please share with social media icons on ◀️◀️◀️↖️↖️↖️ left（🔽🔽🔽 or bottom)! *** This page may contain affiliate links, costing NOTHING for you. I may get a small commission if you buy something from them. Thank you in advance for supporting me!